April 25, 2018 - This is a first: a drone filmed two 10-foot tiger sharks and a 13-foot saltwater crocodile scavenging a dead whale. 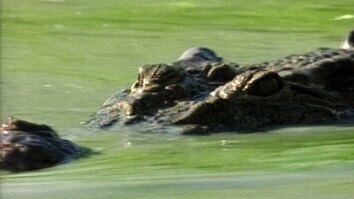 It's also the first known record of a saltwater crocodile feasting on a whale. Diverse species will be drawn by a dead whale to scavenge. Observing the scavenging behaviors has scientific value, like watching two apex predators eat side-by-side. 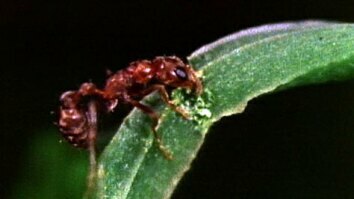 The video shows that these species can scavenge on the same food source at the same time without any or much fighting. As they say, sharing is caring – though these two are just following instinct.